A campaigning alliance has called for disabled people and their organisations to join its fight to use the UN disability convention to defend attacks on their rights by the UK government. The Reclaiming Our Futures Alliance (ROFA) was holding its third national conference in the five years since it was founded by a small group of disabled people’s organisation (DPOs) and grassroots groups. Last week’s conference (pictured) was attended by more than 50 representatives of DPOs and groups. The conference heard that ROFA had campaigned over the last year on issues such as cuts to Access to Work; the impact of the closure of the Independent Living Fund; cuts to employment and support allowance and personal independence payment; proposals to legalise assisted suicide; and the government’s planned cuts and reforms to disabled students’ allowance. Over the next year, ROFA will continue to campaign on welfare reform, independent living, disability hate crime, employment and education. This will include campaigning on the social care funding crisis; developing a disabled-led vision for independent living; continuing to campaign against Department for Work and Pensions contractors Atos, Maximus and Capita; and developing a vision for community and welfare support that delivers choice and control to disabled people. But she said there was still a need to “strengthen and broaden our movement”. Flood called for more to be done to find and work with younger disabled people. She said: “I worry about the cumulative impact on disabled young people of austerity as they move into adult life. 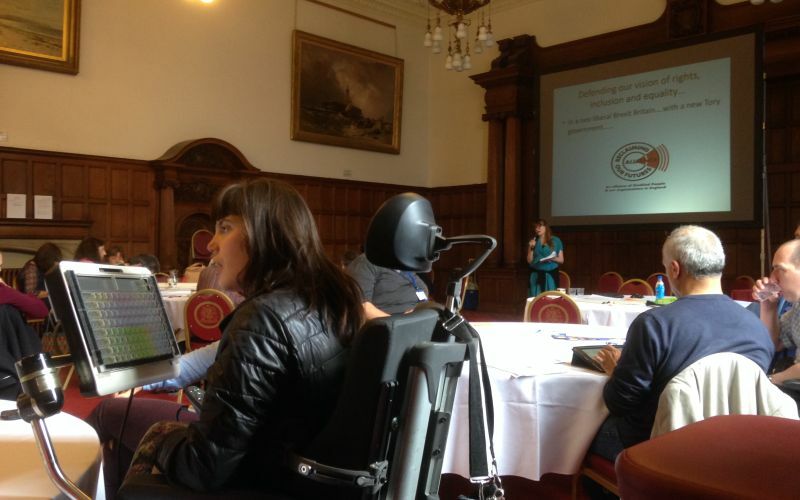 Mark Harrison, chief executive of Equal Lives, said the conference – which was hosted by Disability Sheffield, with the venue at Sheffield town hall provided free by Sheffield City Council – was “a real achievement”. He said: “When we lost UKDPC [the UK Disabled People’s Council], when that collapsed, DPOs and disabled people didn’t have a national voice in England, and now we do. “Change starts from us, it’s not going to come from anywhere else. He said this would provide a “real voice to fight for the UN [disability]convention” and use it “as a weapon” against a government that “tries to take our rights away”. Simone Aspis, from Changing Perspectives, said she was concerned about the risk of disabled people’s campaigns working too closely with left-wing political groups and unions, which might not understand or support vital issues such as inclusive education. Andrew Lee, from People First (Self Advocacy), said: “It’s important that local groups come together. Roger Lewis, from the steering group of Disabled People Against Cuts, said there was a “huge amount of fear” among disabled people about how they were being targeted, which meant there was a need to be “united and strong” in the face of “any attempt to divide us or any other group that could be scapegoated”. After the conference, Andrew Crooks, development and engagement worker for Disability Sheffield Centre for Independent Living, which helped organise the event, as it did last year, said: “We feel it’s important for local disabled people and disabled people’s organisations to feel part of the collective voice of disabled people and we truly value the idea behind ROFA, where disabled people can unite and defend our rights together. He said that Disability Sheffield feels that it is “fire-fighting” and is “constantly hearing from disabled people who are in fear of their very existence” and “really fear for their basic rights”. 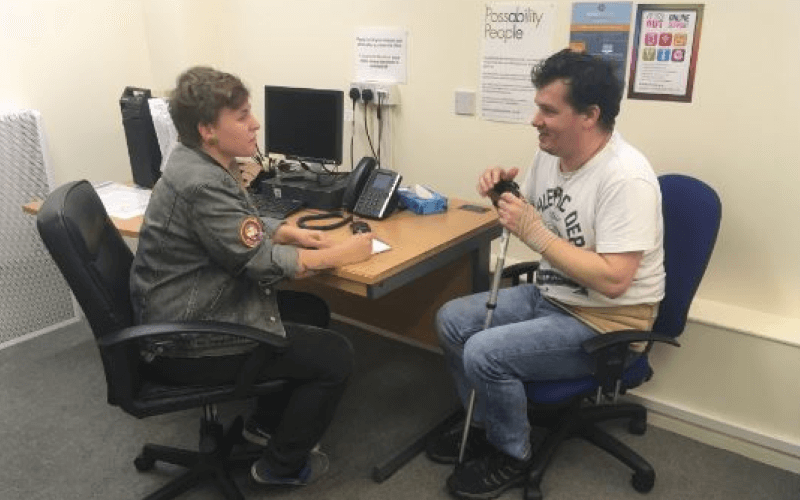 He said disabled people were facing the pressures of losing benefits through the government’s personal independence payment reforms, concerns about the work capability assessment, and problems with discrimination at work and access to the built environment. He said there were about 200 people in Sheffield who lost their access to the Independent Living Fund after it was closed and now “see no guarantees of being able to live their lives the way they need to”.